Very rarely does an individual come across a film that is so grandiose in its vision, dictating a momentous occasion that changed the very course of human history as we know it, yet so somber and understated in the way it chooses to tell the story. Fitting the standard template of the Hollywood yearly inspirational biopic in a number of scenes, the film’s choice of completely defying notions in most others, scenes that would have otherwise been accompanied by self-indulgent dialogue, a rousing score, or both, is what brings me to highlight the deeply intimate nature of the film in the first place. The very astute observation that ‘First Man’ for the most part, both in its moments of crushing defeat and overwhelming victory, chooses to have the lens and focus squarely on its protagonists establishes that this is a ‘human’ story first, and why it is titled so, as opposed to ‘First Voyage’ or likewise. Nicely settling in the mould and breaking several ones at the same time, ‘First Man’ is one of the most potent biopics in years. In a number of reviews for the film, I have consistently read that a lot of people and critics felt that Damien Chazelle won’t be as consistent with this film following unprecedented academy and box office successes. Of course, this film proved them wrong on at least one of those aspects, but I am unsure as to why this notion existed in the first place. To his merit, here he handles material that is almost polar opposite to what he has before and bereft of a common strength that defined ‘Whiplash’ and ‘La La Land’, the music. Despite that, what he delivers is as formidable as his previous outings, intentionally underplayed for an enhanced dramatic effect, something that I agree was a calculated risk of sorts, but also something that ended up working big time for me. Chazelle chooses to tell the story in a deeply personal and engaging way such that Niel Armstrong’s hard earned victory seems like your own, his struggles too. 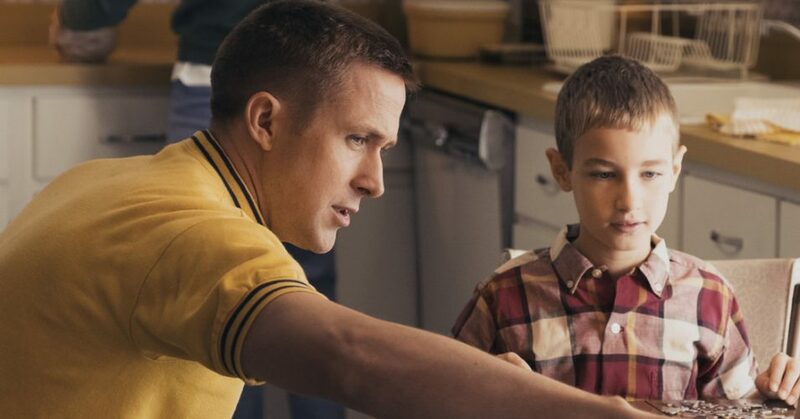 ‘First Man’ is filled with silent moments of quite introspection depicting Niel’s current and frequently conflicted state of mind, moments of doubt that are key and precede any sizeable achievement, and while they could easily be construed as fillers between key scenes, Ryan Gosling’s visible dedication to the part makes sure it’s otherwise. There are solid buildups and tense moments here with a thumping score in the background, and moments quietly underplayed for solid emotional impact. A lot of viewers may have found the build up to the much awaited finale itself to be too long and tenuous, but to me, that was the beauty of it all. ‘First Man’ showcases all the years of struggle and sacrifice, the simulations, the trials, the failures and the personal toll it took on Armstrong with pining detail, and that is precisely what makes the finale on the Moon that much deserved. Visually breathtaking in its final 20 minutes or so, more so than any other effects laden film I came across last year, and well shot for its entire runtime otherwise, ‘First Man’ is a win-win on all technical fronts of film, a sound and heartfelt retelling of one of the most celebrated true stories of all time, and that of the indomitable human spirit. The plot of ‘First Man’ is not something that would require an explanation, neither is its synopsis something a viewer would want a verbal expansion on, by virtue of the film being presented in a very matter of fact fashion. It is all there, bared for you to deliberate and take home what you want to. 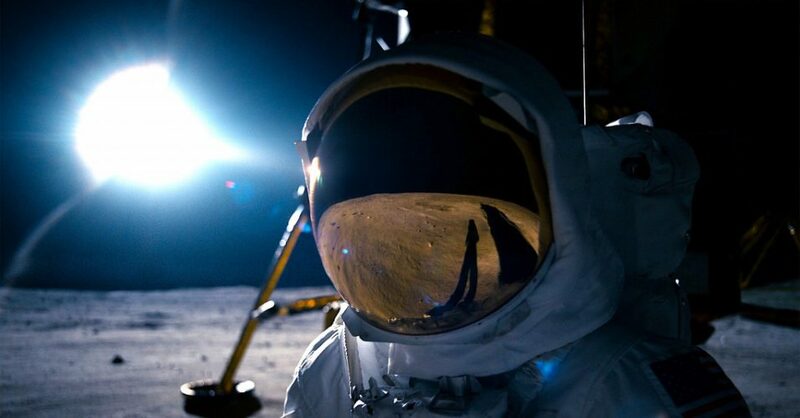 Rather, we choose to focus on something that is another triumph for the film, in fact immeasurably pivotal to the overall experience that was intended, what makes ‘First Man’ a truly well rounded film: the technical aspects of it. While we lament that it may miss out on the main nominations, we are almost certain that it will sweep many of the technical awards at the ceremony. Now, beginning with celebrating what the film looked like on paper, we will eventually attempt to break down what made the film a formidable experience on celluloid. We all know what ‘First Man’ was about, having been etched in our history, science and general knowledge textbooks for years, publicized on shows, and reenacted in several films and docu-dramas. On the contrary though, Chazelle’s and Oscar-winning screenwriter Josh Singer’s approach to humanize the journey to the final outcome of that story marking a celebratory occasion for all of humankind as a population with the kind of intense introvertedness that they have, was, I believe, one of the very few ways a renewed interest could at least be feigned in Neil’s story, both as a human with a history shaped by many a tragedy and an American icon, five decades after the event that made him the latter. For the most part, it commendably succeeds. 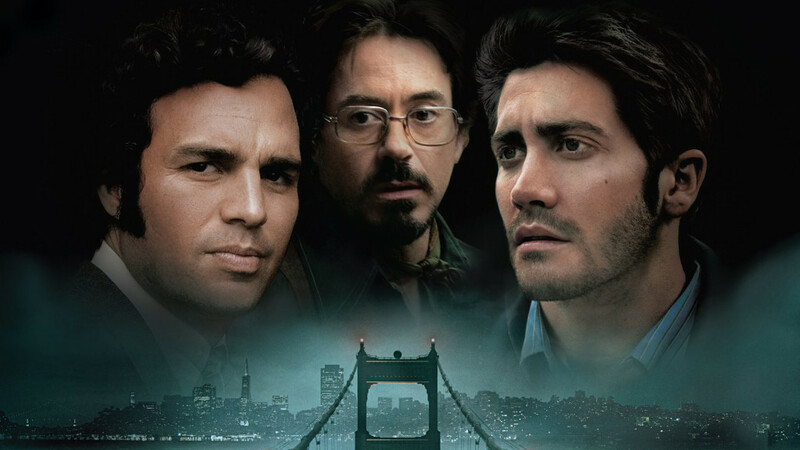 Oscar winning screenwriter Josh Singer creditably sticks away from the regular niches of how a biopic is written or even conceived in the first place. His research into the subject matter, into Neil’s life, relationships with his sons, his young daughter who he tragically lost to cancer in her early years, his wife, his co-workers, fellow astronauts Buzz Aldrin, Mike Collins and Dave Scott among many others part of the Gemini Mission, the risks presented and eventually overcome and the lives lost in the trials, actual attempts and simulations, everything has been encapsulated in its 140 minute runtime, almost at the risk of being too overstuffed with information for its own good. 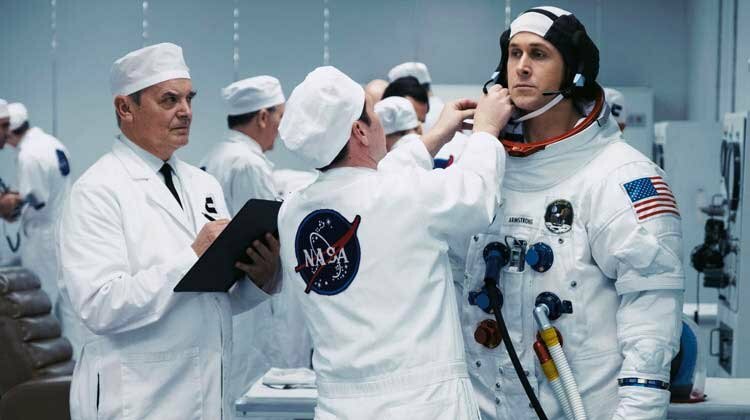 However, if you can appreciate the authenticity of the information presented in a year full of biopics that have been accused of misrepresenting facts, including the very hyped ‘Bohemian Rhapsody’, ‘Green Book’, more so, and even ‘Can You Ever Forgive Me?’, and the sheer depth of research behind it, you will come to realise why ‘First Man’ gradually and presumably slipping out of the Oscar race is sorely unfortunate. 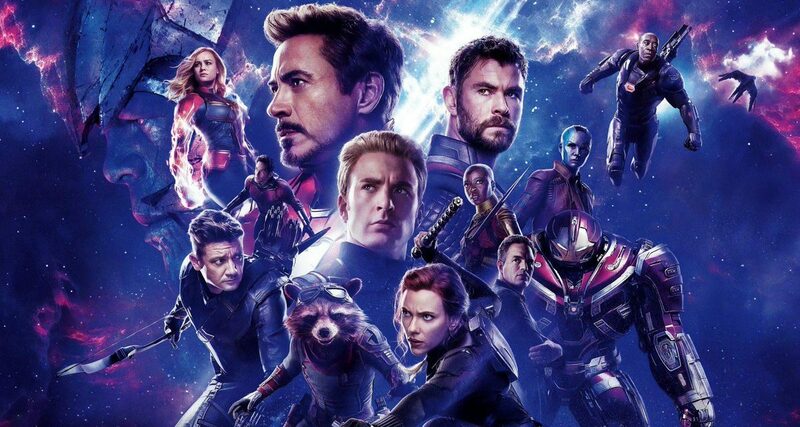 Several viewers have expressed an understandable disconcert with the deliberately glacial pace of the film, and I will back them up on quite a few fronts. 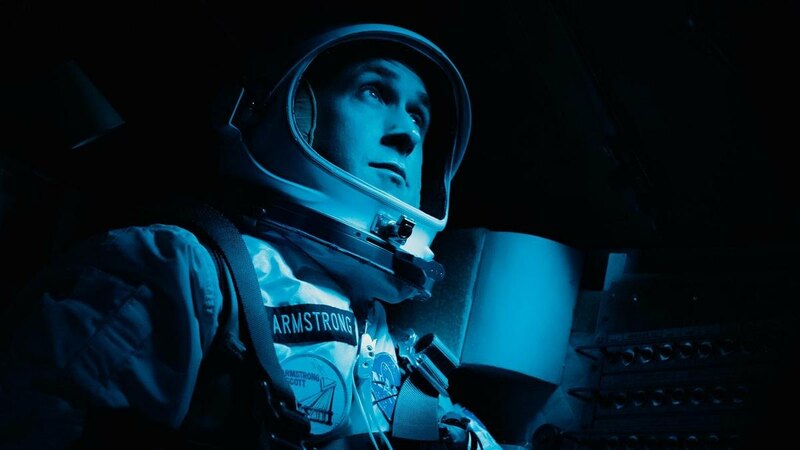 Even for a largely non-commercial feature, ‘First Man’ makes more than a few questionable choices in almost all departments that is bound to put off viewers, and none of them perhaps harm the film’s prospects more than the ones it does in the writing and screenplay. From a critical standpoint too, I can understand several of the audience dismissing the film in simply colloquially wording it as slow and boring. On a very personal level though, I do admire ‘First Man’ for most of its choices, since I tend to (personally, again) shun biopics that tend to the larger than life personas of already famous personalities. This film, for me, busted the legend that was Neil Armstrong, and presented to me the human, the family man, the dreamer, and the astronaut that was Neil Armstrong, in the process rendering his persona exponentially more inspirational than any of the texts about his towering achievement did. The screenplay, the film’s narrative and its pacing seemed to mirror the highly introverted and introspective nature of its protagonist in more ways than one, replacing the occasional rousing monologue that usually precedes the titular event the film is about, with piercing silence or a minimal background score, focussing solely on the character itself. It is left up to the audience then, whether to take home the visual of a brooding face, or to look beneath the surface for a man in doubt, maybe regret, reluctance, and a deluge of other emotions. Such subjectivity and the typical critical banter has often been the long drawn conflict at the very core of any tastefully done long take. If the instinctively natural connection required the choices Chazelle made, then naturally I am on board with them. Unmistakably so, the film has a lingering sense of loss, regret and tragedy all over it that threatens to make the proceedings increasingly dreary, but the fact that this is the retelling of a remarkable true story should give you pause. There is a long standing belief that true greatness stems from tragedy, and one can only feel sorry for what Neil had to endure to achieve that greatness. The personal toll these mishappenings took on him as an individual: the untimely death of his young daughter Karen, and the accidental deaths of a number of his close colleagues in the T-38 crash and the Apollo 1 fire, is traversed throughout the journey of the film, as a result of which he is even shown to develop as an increasingly reserved individual, keeping to himself, eventually even alienating his family in the process. The film doesn’t skim through his personal failures and innumerable attempts that sometimes turned out to be fatal either. Somewhere midway through the film, Janet remarks how they’ve gotten “good at funerals”, and even though it is to be taken as a wry comment, it hits hard. Neil’s act of dropping Karen’s bracelet he had retained as a keepsake in the lunar crater is his final act of letting go, his final homage, and a bittersweet culmination of the tragic arc. Interestingly enough, if you happened to have watched ‘First Man’ at a technically well-equipped theatre, especially IMAX, you could be on either ends of the spectrum as either absolutely loving or absolutely hating the varying formats and by extended definition, the aspect ratios. The resultant resolutions of state of the art projection systems relayed the imagery as it was intended by the filmmakers, and in that process, effectively rendering the difference between the varying formats all the more conceivable. Technical banter aside, the cinematographer of the film, Linus Sandgren, (Chazelle’s collaborator on ‘La La Land’ for which he also won the Oscar; although, much of my appreciation for the man draws from Gus Van Sant’s ‘Promised Land’) shot the film in three vastly different formats: 16mm, 35mm and 70mm. It doesn’t take a genius to do the guesswork, but the sequences inside the space shuttles, the simulators, presumably the T-38, the X-15, and a lot of the close-ups are shot on 16mm in close proximity, rendering much of the grainy resolution and a possible desaturation in colour. For shooting much of the ‘regular’ footage, in and around the Armstrong house and NASA headquarters, two to three people conversations, and the occasional landscape shots, 35 mm was put to use. 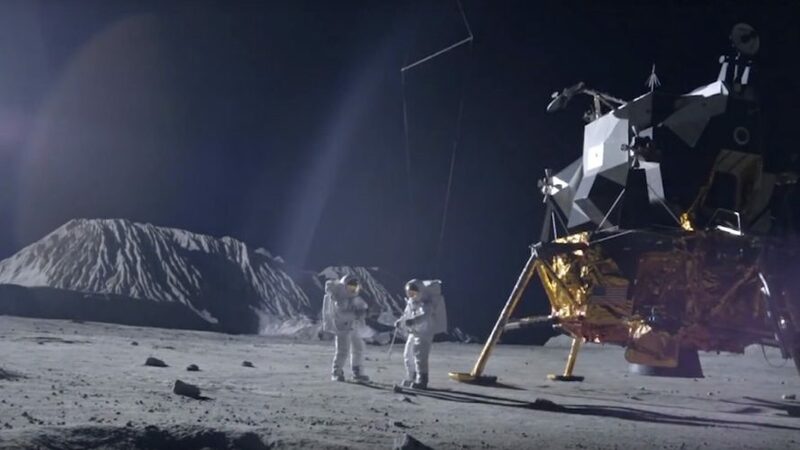 Saving the very best for the last, the finale, the extravagantly shot moon landing sequence was shot on 70mm IMAX film, rendering the crystal clarity and razor-sharp colours, or their lack thereof due to the lunar surface. The style and language of shooting is something that a cinematographer usually develops based on the subject matter of the film. In that, it is fairly obvious why ‘First Man’ was shot mostly through close-ups and what the everyman would consider “by the book” cinematography, since it is hardly a space movie, and thereby understandably bereft of sweeping extraterrestrial shots until ofcourse the final bits. 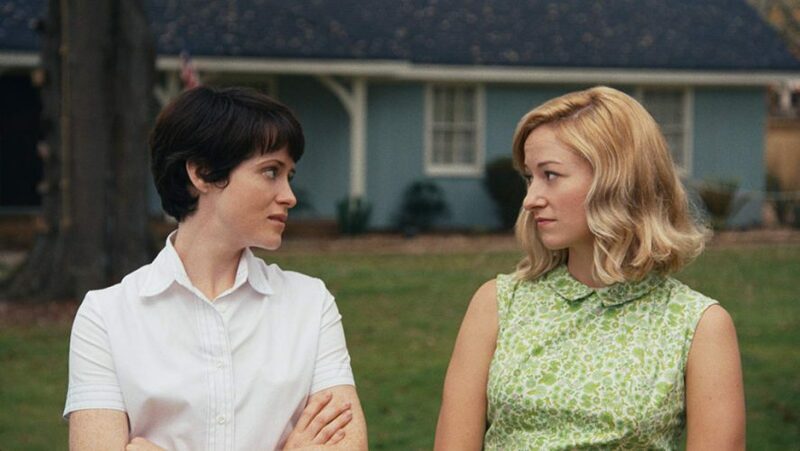 Even dialogue between individuals, especially the heft ridden ones between Neil and Janet, his wife, played with steely resolve by Claire Foy, are shot in striking close-ups of the respective actors faces, as opposed to the conventional 180° style of shooting. What’s more, is that the camera is mostly handheld in these sequences, often shaky too. This is, without a doubt, an attempt to showcase the pauses more than the dialogues, and would have unquestionably fallen flat had the actors, Gosling and Foy, not been exceedingly committed yet remarkably restrained in their roles. Moving away from the more personal bits, about 40% of the film, including the lunar mission, is comprised of footage inside shuttles, practical sets of simulators, to scale models of space modules, and a fair amount outside as well, rare bits when Project Gemini actually managed to take flight, quite literally, outside the atmosphere and into space. In contrast to the previous segment, Sandgren chooses to use fixed cameras here. Practically speaking, their use is technically justified too inside the shuttles owing to the space constraints, centred squarely on the faces of its performers extracting every iota of tension. As a result, the camera shakes violently in the event of a predicted crash or a malfunction, adding to the claustrophobia and a much complained about sense of nausea by viewers, which is on a trading front against added dramatic effect. However, outside the spacecrafts and modules is a different story. One might feel that the fixed camera on the space vehicle, a technique put to excellent use by Hoyt van Hoytema in Nolan’s ‘Interstellar’, limits the viewing angle, and understandably cuts the viewer from a possibly stunning shot of the Earth in the background or the vastness of space, or likewise. However, what it does establish is that it puts you right in the middle of the action, more effectively so if it is the same angle as the one the pilot or crew would be viewing in first person. Case in point would be the excellent docking sequence from Interstellar, and the manually controlled lunar landing with limited fuel in this film. The visual elements of the perilous manual lunar landing sequence and its overall structure are not the only ones this film has in common with Interstellar’s famous docking sequence. Accompanying and elevating the experiential qualities of both scenes is a background player that should receive fair credit, the musical score. Seminal orchestral pieces with overbearing acoustic tones interspersed with scarce but pounding bass, at once, hinting urgency, triumph, anticipation of the moment that lay ahead and a long continuing, high pitched crescendo just before the end of the theme, culminating in total silence for you to soak up the impact, which I feel is among the many reasons why total silence is such a recurring motif in space movies ranging from ‘Gravity’, ‘Interstellar’, even ‘2001: A Space Odyssey’, and a highly experiential one at that. Silences, or pauses, as imposed by many composers since time immemorial are as consequential to the piece as the musical parts, often being the introspective breaks one needs to prepare for the next bit, while soaking in the appreciation of the part gone by, almost as if in a recurring echo. Apart from the many contemplative reasons, the use of silence as a sound tool in space sequences is mostly also related to the scientific absence of a medium to carry sound in space. While ‘First Man’ appreciably puts the silence to effect in the space scenes, its use of silence in Neil’s personal, introspective bits is what had my appreciation and attention for the most part, commanding you to feel the same as the character on screen. Also, the themes I analysed above were ‘No Time for Caution’ by the godlike Hans Zimmer for ‘Interstellar’ and ‘The Landing’ by the extremely talented Justin Hurwitz for this film, broken down for you. The comparisons are in no way meant to undermine what Hurwitz has established through the score of the film. The sheer range of themes in the ‘First Man’ album make it a prized possession. Take for example, the themes ‘The Landing’, ‘Moon Walk’, ‘Crater’, and the ‘End Credits’, played in quick succession over a period of fifteen minutes at the end of the film. ‘The Landing’ is a rousing, all-in orchestral piece, while ‘Moon Walk’ and ‘Crater’ are quietly introspective pieces, making use of only the Cello and Theremin, primarily and respectively. The Theremin happens to be an interesting piece of musical equipment I happened to read up about, and is responsible for most of the low pitched wailing sound you heard playing during the moon sequence, tallying up with Chazelle’s intent of producing a beautiful yet mournful sound that is deeply personal and moving, yet is allegorical to how lonely the journey to the moon was for Neil. At the same time, the end credits theme serves as an aural culmination too, bringing in the moog synthesiser’s slightly electronic sound. While I conveniently choose to drive the article away from the plot of the film, this one bit deserves fair mention for the palpably visible skill at display. I also chose to explain the cinematography and scoring merits of the film before I begin to expand on the finale. Having done that, I attempt to place my two cents on the table for the big payoff, both for the characters involved and the viewer. In the days leading to the big launch, following a heated conversation with Janet, Neil explains to his children the risks involved in the mission, and the possibility that he might never come back. The Apollo 11 finally launches successfully, and the two astronauts proceed for the landing in the lunar module. However, just before making contact, realising that the surface was too irregular and full of boulders and craters for a regular landing, Armstrong takes over control of the module, now on manual mode, and hovers for a bit to lose momentum, before finally making contact with the lunar surface with limited fuel on the verge of exhaustion. The thumping score to elevate the tension of the sequence dissipates to total silence. The grainy 16mm inside the module too makes way for glorious 70mm IMAX film, as Neil steps outside the module through the landing hatch and onto the surface, the viewers too getting a good look at the lunar surface, a much awaited and earned moment of triumph. “That’s one small step for man, one giant leap for mankind”, as you are covered in goosebumps and overwhelming visuals. The sense of awe continues as the astronauts explore the surface, culminating in a truly heartening scene: Neil pays the ultimate tribute to his deceased daughter by dropping her bracelet into the Little West Crater, bidding her a teary eyed final farewell. The historical accuracy of the scene might be challenged, but I’m sure its cinematic merits cannot. The IMAX would want you to wish the sequence could go on forever, but as any good thing, it is short-lived and you are almost immediately transported back to Earth, with real footage from base interspersed. The returning heroes are quarantined, and while I’m yet to wrap my head around the very nature of the act as quintessentially ‘human‘ yet necessary, the film ends with Neil and Janet sharing a heartfelt moment from across a piece of glass separating them, as the credits start appearing.